Posted on November 28, 2013 by Thorsten R.
The next generation scenery has finally arrived! 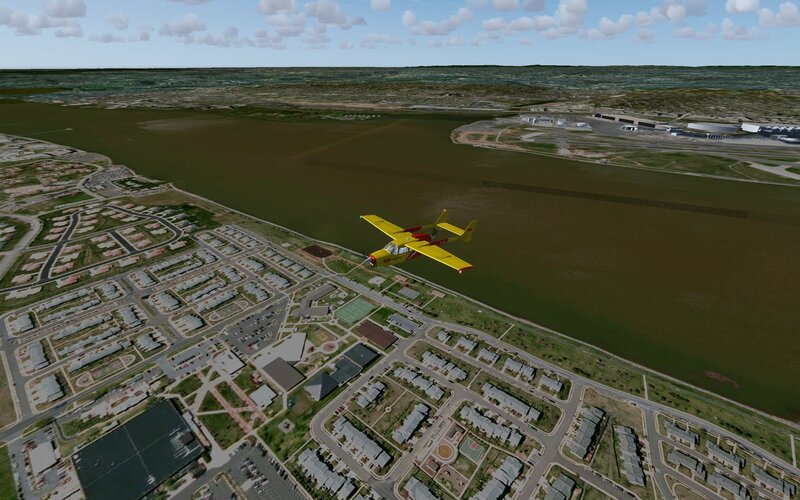 After long years of waiting, a new version of the world-wide scenery shipped with Flightgear is now being rolled out. This scenery makes use of CORINE data in Europe, utilizes other custom enhancements elsewhere in the world, brings new and improved airport layouts and includes roads and other line data from the Open Street Map project. Especially in the CORINE covered regions, this leads to a much better visual appearance. Enjoy watching the shallows around tropical islands in fine weather! At high quality levels of the water shader, a global water depth map is now used to change the water color in the shallow regions around islands and close to the coast. Especially in the Caribbean, this corresponds to a significant improvement in visual quality. The effect combines with the other variations in water color based on weather and base color due to algae or mud content. Now you can get out of your airplane! The walker project allows to leave an aircraft and explore the scenery on foot. 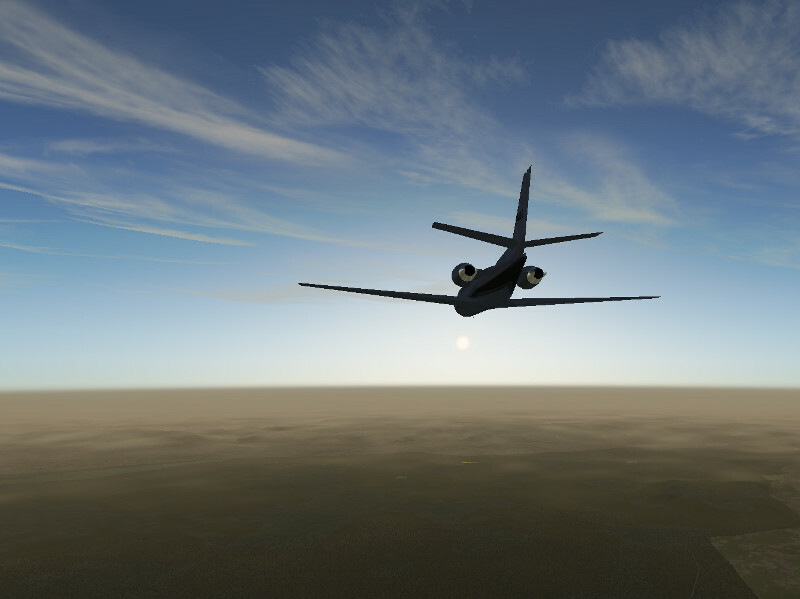 This effectively allows adventure-game like scenarios in Flightgear such as The evil Graveyard where the walker also interacts with the scenery. Combined with the hires procedural terrain texturing options, you can start exploring the scenery from quite a different perspective and walk into your favourite virtual airport bar after a long and exhausting flight. Enjoy a few new, highly detailed airplanes! Some recent addition to the list of Flightgear aircraft, the new Boeing 707 (shown above) and the Robin DR400 Dauphin (a single propeller engine plane) impress with impressively detailed modelling of the cockpit, plenty of attention to realistic flight dynamics and especially in the case of the 707 a sometimes frustratingly realistic level of systems modelling. The canvas 2d rendering technology allows the creation of more realistic glass cockpits with complicated instruments. Shown here is the new PFD and ND of the Boeing-747-400 as an example. Explore the scenery textured by aerial imagery! An experimental implementation of generic phototextured terrain using osgEarth is now on the way and might make it into the 3.0 release. Once enabled, osgEarth renders the terrain scene by building the textured geometry at runtime from raw source imagery and elevation data. The input data can come from a variety of sources including web mapping services or local source data (e.g. geotiff) stored on disk. This feature is runtime-switchable from the default scenery rendering. We take bad visibility seriously! 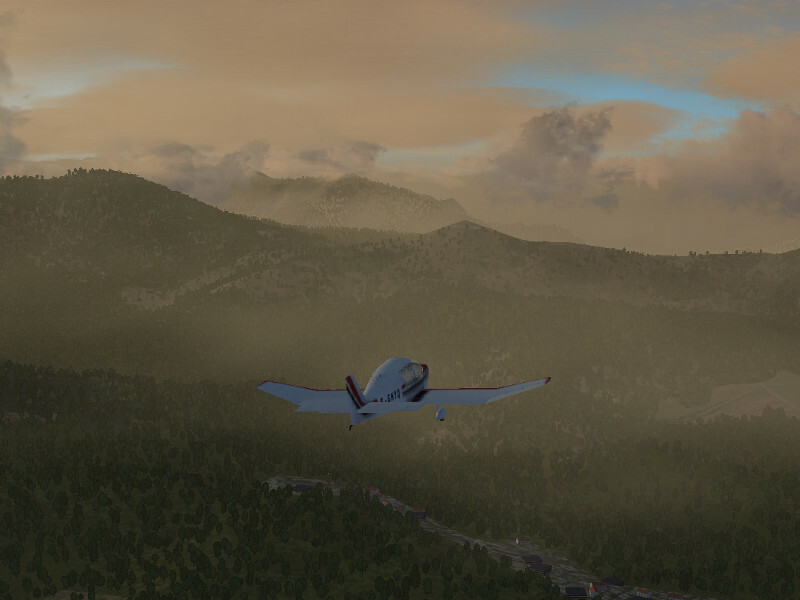 For some 3d applications, fog may just be a device to hide the terrain in the distance, but in Flightgear rendering fog and haze is taken quite seriously. The Atmospheric Light Scattering framework now comes with an improved way to render fog patches and variations in fog layer altitude, combined with even more impressive lighting of fog in low sun. You’ll never enjoy bad visibility this much! Stay tuned as we fly towards the next release! FlightGear may be the best flight simulator, but the documentation could be a bit more understandable. I have not yet been able to get my plane to even move on the ground. Did you even try the tutorial system? FLIGHTGEAR IS THE BEST FLIGHT SIMULATOR!!!!! Flightgear is getting better and better!! As usual, a wonderful update. Just amazing to see that Flightgear is now better than other proprietrary simulators. People are really working hard to better this project. And that’wonderful. Thank you, for the whole team, to develop so nice softwares ! which version i need for mac? I don’t know. You may want to ask in the Forum, there are several Mac users who should have an answer. Very good job guys, thanks. It’s getting better and better! I recently installed flightgear 3.0 preview. Well done! Nice to fly and stable in 64bit but not in 32bit(on my hardware environment), for me doesn’t matter. Scenery 2.0 is better than we got before. But even that hurts my eyes. So I decided to install osgearth, which I found as a windows Installer for flightgear 2.12. It works fine in flightgear 3.0 and I would call that perfect scenery. So why on not osgearth you are working further on Scenery, have you ever seen that ugly trees and churches during flight and that terrible rivers and roads? Not to speak about that matchboxes of bildings. Sure, they are better than before but even in Scenery 3.0 they will continue to be ugly. Rembrand also doesn’t make that things better. And fps is getting down for nothing. A nightflight with white pixle ilumination is the worst I have ever seen. I only need that for take off and landing. There is a youtube video of flightgear with osgearth integration and a really well done DR 400 Robin. That’s better than FSX! I would recommend to integrate some basic 3d models like ilumination during night and some special buildings like airports in osgEarth and that’s it. Don’t misunderstand me, I think flightgear 3.0 is good, but it could be much better like it allready is. What you’re really asking is – you’re excited about this particular feature, so why don’t all developers focus on that. * Not everyone has a really broad internet connection all the time as you need for osgEarth for starters. * Aerial photography is done on a particular time under particular weather conditions – you may find it does not fit well others. * The difference between a tarmac surface and a swamp in photoscenery is the color of the pixel. In the 2.0 World Scenery, the difference is that both surfaces will interact with your airplane in quite different ways if you try to land. Tarmac will heat in the sun and be likely to spawn thermals and convective clouds, swamp will not. Tarmac will be less snow-covered when the snowline moves. than swamp. The visual roughness of tarmac and swamp seen from 300 ft altitude will be very different. Swamp will appear wet and lead to more puddles in rain. The effect of both surfaces on the boundary layer winds is subtly different, as wind goes more easy over a rough surface. 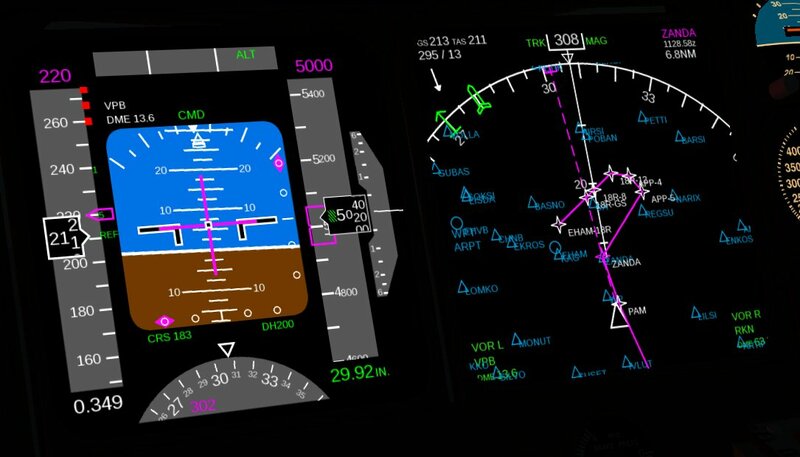 There’s more to Flightgear than meets the eye… and to some of us, these aspects factor as well. The issues you mention seem to be mostly random vegetation/ buildings – they can be switched off. Or improved. People are running hires versions of the trees sometimes which we don’t ship (GPU memory is a precious resource). So – it’s great that you’re excited about osgEarth and that this meets what you expect from a Flightsim – just don’t expect everyone else to have exactly your priority list. 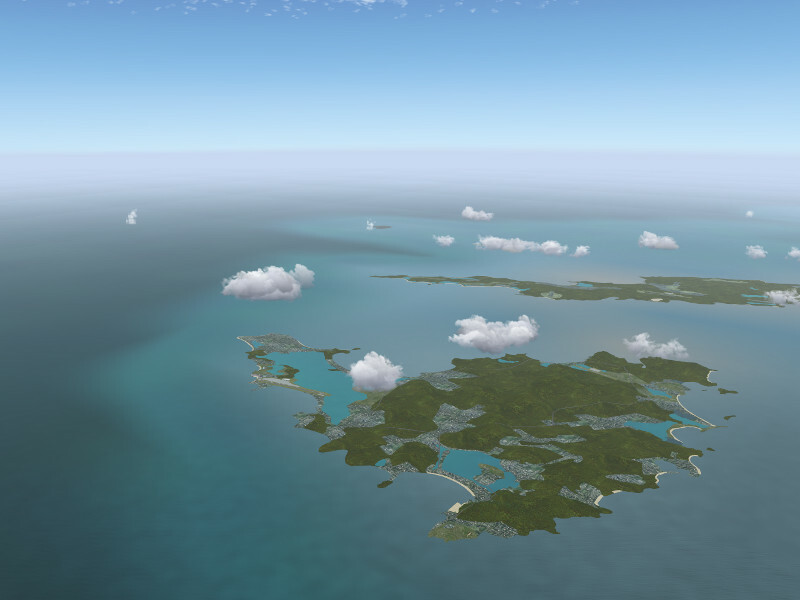 Flightgear relies on volunteer contributors – why don’t you give it a try and submit it to the scenery database? @Thorsten R, Yes,indeed I see your point. I take the bull by the horns,now compiling v3RC4 from source 64Bit Linux. If the feature of osgEarth phototexturing will at least be available by default in the v3 version then one will be able to test it. If one cannot test it or do not know if it will be in a release there is no use putting massive effort in getting access to more free photo datasets. If it works with a test dataset I’ll create, I’ll be starting to see where I can provide open photoscenery datasets first. Will start to get official permission with the photo only dataset of something like http://www.nl-2000.com. This dataset was provided by Dutch government for a specific research project. The data was in the end paid for with govermental funds for public sources and under a free license. Not talking about the buildings etc. here ofcourse create by volunteers. If the tryout works, I would be so happy to be able to submit it to the scenery database. If I can make people I work with of the http://www.lr.tudelft.nl/en/cooperation/facilities/simona/the-simona-research-simulator/flight-deck/ department enthousiastic, I’m sure flightgear will have more quality developers soon. I know from own 20jr. exprience the hard work it takes adding to opensource projects. Only stating the osgEarth feature is really appriciated, and would be really great if it could be included in the v3 version, even if it has it’s downsides. That is a really great achievment, bravo!. For some scenarios, phototexturing using osgEarth will still be more useful. 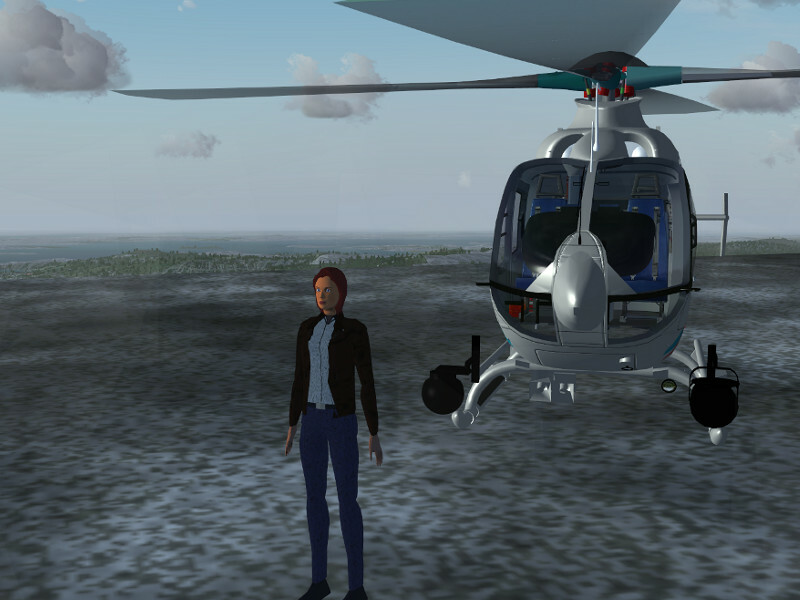 For example, not surprsingly, in low altitude JSBsim UAS simulation tests for and realtime interaction in a mission with Flightgear as rendering engine. 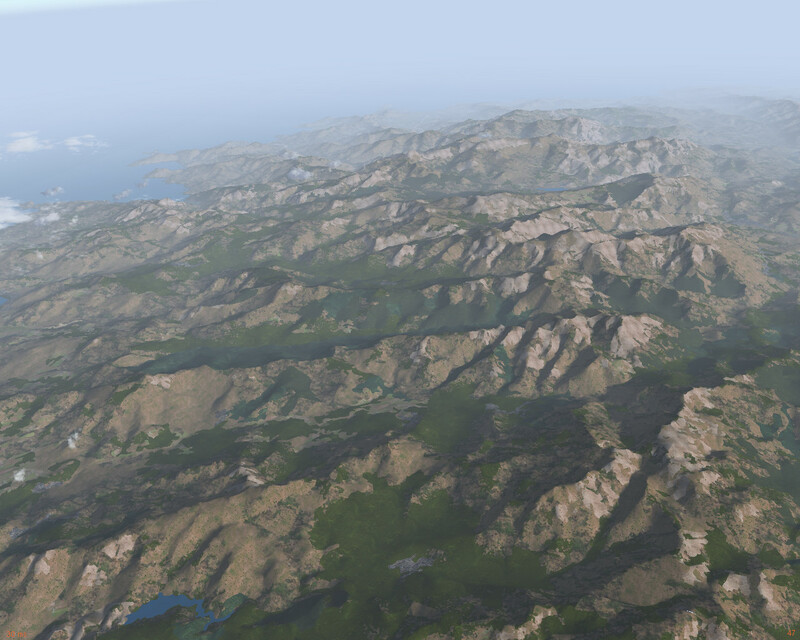 It would be quite benificial for Flightgear if this generic phototextured terrain using osgEarth is included in the v3.0 release. It will make promoting Flightgear as GCS interface much more successful. I don’t understand why osgEarth doesn’t look as good as Scenery 2.0. osgEarth can pull elevation data from a variety of sources (ie, select at runtime the highest resolution heightmaps), use land cover data to position FG static flora objects and overlay FG detail textures, and place buildings and roads from OSM layers. Combined with FG’s atmospheric effects, should look heavenly! osgEarth right now does’t utilize any of the more sophisticated shader effects, so it doesn’t see interaction with weather in terms of fogging and lighting at all. In terms of resolution, I think aerial imagery can provide a pixel covering a few meters – procedural texturing effects generate cm-sized details on the ground if you approach closely. So from close-up, Scener 2.0 will always look better. Aerial imagery is also taken under given conditions, i.e. for certain lighting conditions – which means that any lighting imposted after the fact has to be a bit flat. So I believe osgEarth in FG will look better as integration proceeds, but it’s not a given that it will be unconditionally better than Scenery 2.0 – there are advantages and disadvantages to both approaches. …till creation of the release branch. Then a month of betatesting and bugfixing, but there’ll be release candidates available soon. can you make ktpa have terminals and the runways changed to 1L because its in some bad shape right now thanks! guys you are the best! This looks good but I’m afraid my computer won’t be able to handle all of the extra computing required for these new features. I’ll be sticking with 2.12! The flightgear team is doing a really good job. Flightgear might even overtake fsx in the future. Keep up the good job!!! i really want the f16 can the flight gear team please download it to my game? This is officially my favorite flight simulator after seeing what you have and what’s now in store. Thanks, and I can’t wait for 3.0! Not to say that this is bad, but graphics would improve to a great extent if Unreal Development Kit/CryENGINE 3 SDK (free license for free to play games) is used. A license which is free only for free games isn’t GPL compatible and hence not acceptable for Flightgear. Besides, rendering for a Flightsim has different requirements and possible optimizations from rendering ground-based scenes, we have a certain data structure given by how GPL-compatible geodata is processed into scenery, so I somehow doubt that this would work as well as you seem to believe. Any chance of detailed scenery and airports in Cyprus, Egypt, Jordan, and Israel making it into the next version? I haven’t been looking at Middle East in the new scenery, but the elevation mesh, rivers and roads have been dramatically improved also in regions outside the CORINE coverage. This is not question of development effort, but just of finding GPL compatible geodata, the scenery team just does the infrastructure to process geodata, not the geodata itself. Another great feature to add if there is time would be a dummy external bluetooth GPS device we can link to with tablets. The dummy bluetooth could just show up on the tablet as an available GPS device to pair with. I imagine a regular USB bluetooth dongle could be forced into device mode for this, perhaps the internal bluetooth would work too without affecting regular bluetooth function. It would be nice if whatever mapping tablet app we use in the cockpit would also work for flightgear without requiring any mod on tablet side for compatibility. David, I think it is a great idea and my guess is with the already available API and maybe via a NASAL script it’s doable. I cannot create it for you, I have other Opensource priorities to help out, but I thinks if you would as an e.g. IT computer department student of a school or university near you, someone could help you realizing this. Flightgear 3.0 will include a protocol module I wrote to interface to Avare via IP so no bluetooth is necessary. Airport modeling in individual regions of the world relies largely on contributors who submit models and layout data to the scenery data base. There is no official policy driven by the core developers to specifically target certain regions. lower right corner for a repository status and release indicator – projected release data is in 71 days from today. Wow, that is some great work guys! Thank you! That scenery is certainly impressive. About the walker feature, will this be implemented into all the planes? I remember playing with the walker on the Star Trek Runabout several years ago, so it’s not a new idea, but that would be awesome if it was available for all of the planes! The walker is rather generic and it takes a single line of xml to include it into an aircraft. Whether it will be shipped by default with the aircraft is up to the maintainers of course, but even then the work to implement it for any aircraft is minimal. I have managed to make it work with my favourite aircraft in less than 5 minutes time. keep up the good work, thanks!